Our Children's Garden Spade has been designed for children aged 3 to 7 years of age. 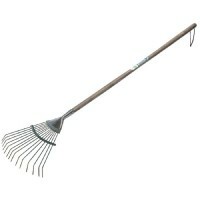 This children's garden spade has a green metal head and a sturdy wooden handle. Perfect for digging in the garden. Size: L85cmx W12cm at the head.